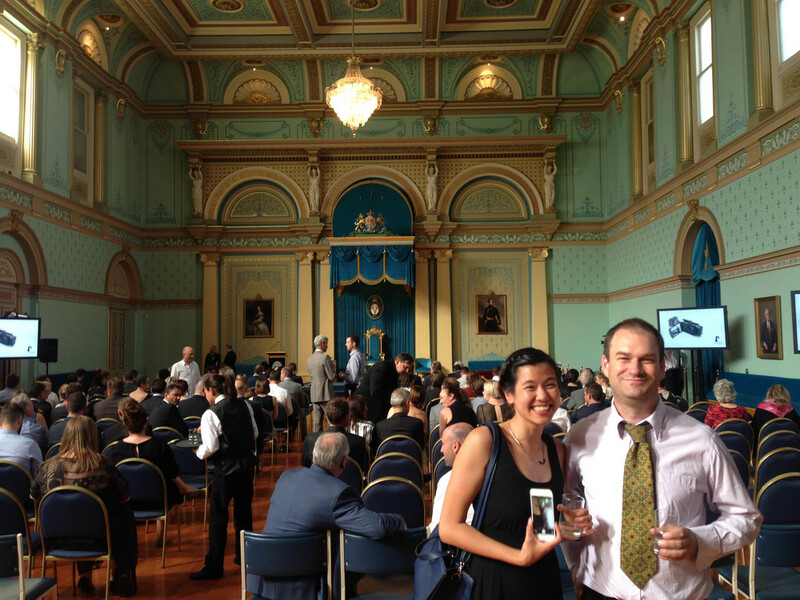 A great time was had by all at the 2015 Premier's Design Awards Ceremony last night and even though we didn't win, we enjoyed wandering around Government House with drinks and delicious finger food. We toured the drawing room, the dining room, the games room (with an enormous billiards table), a beautiful courtyard with water fountain and of course, the hall where the ceremony was held. Check out the photos below. Congratulations to all of the winners, we were up against some amazing entries. Our category, Design Strategy, was won by Ideation and Advantage Engineering, with their SmartCup and CafePay system, which is changing the way Melburnians treat disposable coffee cups. How could we compete against a coffee entrant in Melbourne, coffee capital of the world! Our entry into the Awards - the Hawthorn studio project, as published in the finalist booklet. Habitech staff having a great time at Government House!